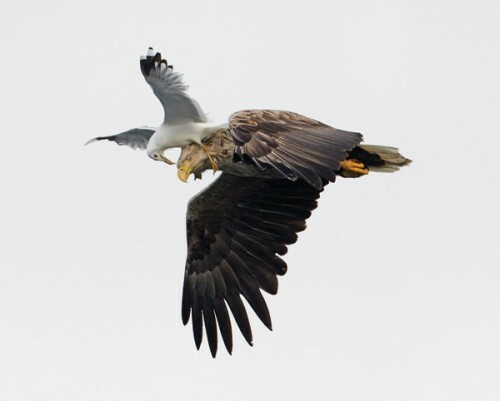 Wildlife photographer Markus Varesvuo snapped this amazing picture of a herring gull attacking an eagle. Gulls often join together to drive predators away from breeding grounds, but sometimes solitary gulls do the dirty work, too. For the greatest impact, they swoop in from above and behind a bird of prey.